The years of 15 – 16 century is the advent of many crafts even they develop strongly in Hoi An Land. 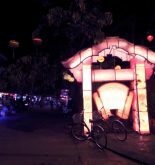 Over hundreds of years of existence and being handed down from generation to generation, handicraft products of Hoi An have reached the level of virtuosity contributing in no small part to the prosperity of Hoi An Port in the previous centuries. 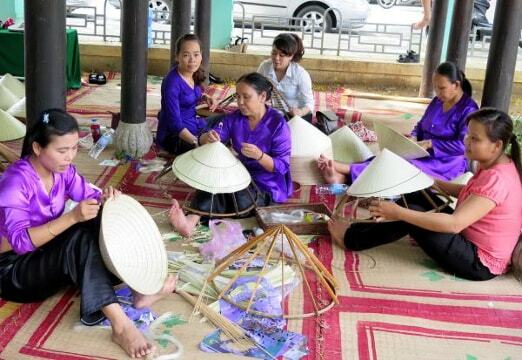 And now, Hoi An handicraft workshop represents a part of that characteristic tradition. 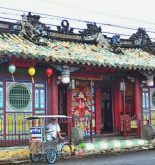 Workers in this place will make high-quality handmade products in place which not only supply goods and souvenirs of Hoi An but also spread everywhere. Some items such as lantern, decorative candlestick, lacquer pictures have found in the markets of some countries such as Europe and America. Visiting Hoi An handicraft workshop is a good chance for tourists, to get a close look at the process of creating the handmade products beautifully by the skillful hands of skilled workers. And you can take part in some simple production processes to save the interesting experiences in your trip to Hoi An. 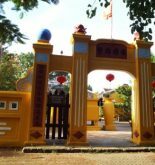 This factory is also a suitable place so that tourists can take a purchase the high-quality handicraft products with an affordable price. In addition, in this place, there is a little and cozy theater space performing the attractive, traditional art performances for tourists. I am surely you will be surprised beyond expectations with the folk dances in this small space coming with the lively songs. All are free for tourists who buy tickets at the ancient town. Ticket: admission by Old Town ticket.